READ THIS ARTICLE IN SWEDISH. In the first part we talked a lot about Elize growing up, what did influenced her to become the one she is today. I am really fascinated by the remarkable energy Elize has and had since she was little. Her true dedication towards her, nothing has been left to chance. I get the feeling that her destiny from the very beginning was to be an artist. 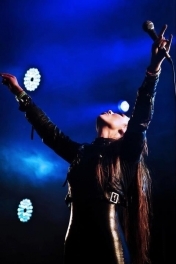 In the second and final part about Elize, we will go into more about how she responded to the success she has had with both Amaranthe and Kamelot. What has that meant for her. And how does the future looks like for her? 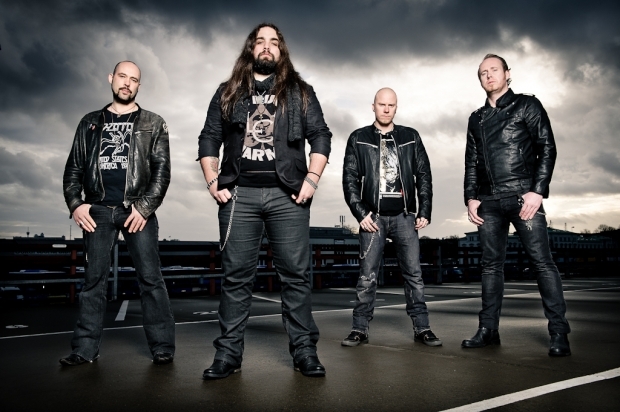 JONAS: Along with Amaranthe you did have a totally crazy 2011 and so far during 2012, how would you summarize it? ELIZE: We have basically all fulfilled a big dream - to break through. We have signed a record deal with one of the world's largest record label and released a really good album, experienced revolution in Tunisia, played before 40,000 people in Japan, be played on daily basis on Swedish radio and also won an important prize, yes we have seen incredible things and have also gained a lot of experience. JONAS: Could you tell us a little about your own innermost thoughts of your success? ELIZE: Everything has gone very quickly. It's a little hard to grasp and keep up with what actually has happened. I have received tremendously much of both name and fame during the year. I have developed a lot bot as individual and as musicians. It has been both tough and also so amazing. JONAS: What has it meant for you? ELIZE: It is probably mainly meant that I no longer see this as one of the dreams I want to fulfill, instead it is a dream that came true that I now have to maintain and continue to develop. It's hard to suddenly have to focus on the consequences of what you tried to build up during your whole life. There are also so many other people involved that must be satisfied in different ways, it's really not just about yourself anymore. It is incredibly high standards when in the hands of such a large company that has invested an awful lot for us as a band. It has succinctly meant a turn in life. It is easy to aim for different goals, the hard part is when you have achieved it is to set new ones. One of them is to succeed handled with success and trying to be a good role model. I feel a huge responsibility as one of the few women in this industry. 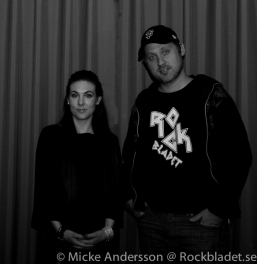 JONAS: When you wrote the songs for the debut album for Amaranthe, which role did you have in the process? ELIZE: On Amaranthe’s debut album, we had no demarcated roles, it was more a creative process and the way that the roles fell into place. I wrote several songs together with Olof, most vocal melodies but also texts, growl-rhythms and guitar riffs. Because we have experience from different musical worlds, we were able to create the odd combination of hard-hard rock and pop dance-pop. I also took part of the process of creating the sound. It was one of the reasons why they wanted to keep me as a permanent member of the band. JONAS: You are the only girl in the band, how does that affect you? 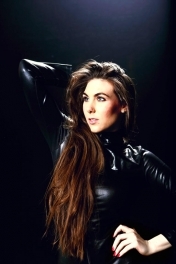 ELIZE: It's pretty hard to be the only girl in a band with just the guys. It might be an explanation for why there are so few girls in this industry. The development is progressing, but it is still not everywhere to become fully accepted. It is enough to resemble with any other male-dominated workplaces at any time, except that you spend 24 hours a day together, sometimes for several months. It is of course very individual how men see themselves and deal with the fact that there is a girl in the gang. Some think it is positive, some not - that's what affects me the most. JONAS: Have you been disfavored like a diva or are you equal the others in the band? ELIZE: In Sweden, I feel no difference, nor from my band members. While this is of course very individual, but usually it depends entirely on the culture and the view of women they generally have in this country coming to. The biggest difference I have experienced is when we have played in Japan, South America and the USA, where you often has no choice but to be treated like a diva or a queen. JONAS: What about the balance in the band, do you feel that you get the space you need? ELIZE: Of course the natural balance is stronger for the men. As a woman you really struggle to make their voices heard. When it comes to the creative process that is a big part of running a band, I get much scope. I work a lot with writing songs and trying to do so much promotion for the band as possible. But not nearly as much as I would have had if I had been the only frontwoman. It also gives me the space to be able to work on other projects. 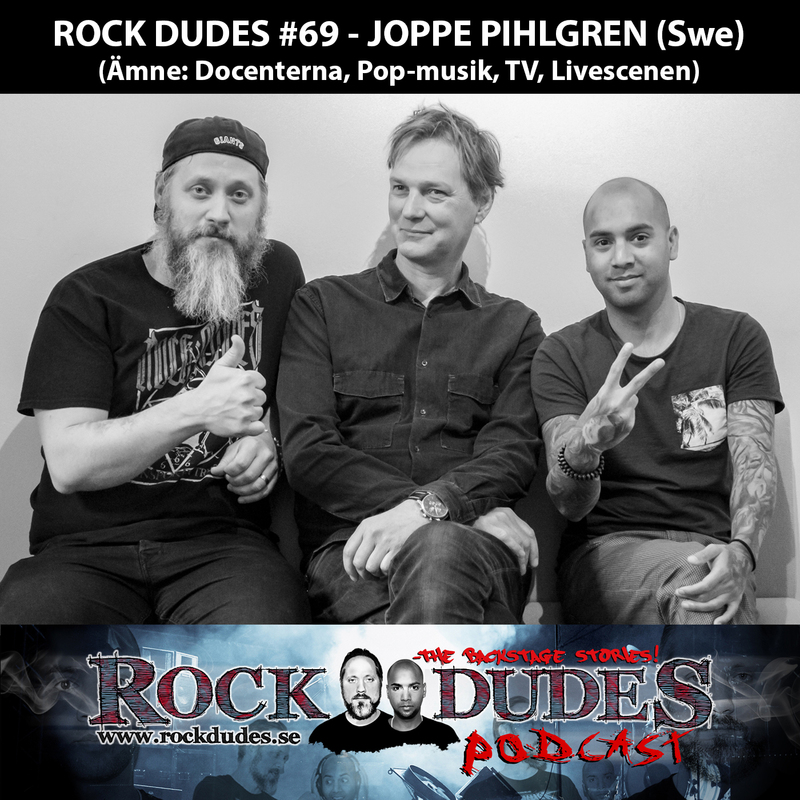 JONAS: The Hardrock World's dominated by men, among both musicians and fans. Can we do a comparison towards boy-bands that have many screaming female fans? Assuming that there are many male fans who scream a little extra for you, do you get affected of it in any special way? ELIZE: My opinion is that women generally show more emotion in the audience than the men. But I tend to actually hear a lot of male voices shouting my name, and other fun things. Some of the banners and signs they have posted a cute message. They treat me with tremendous affection and much respect, it is great fun. JONAS: Which gig has meant the little extra for you? ELIZE: The concert in Tunisia together with Amaranthe was probably one of the strongest impact on me that I've experienced. After long battles, the country had just managed to become a democracy. We were the first band that played there after the revolution. Have never experienced anything similar or seen people so happy and proud. People cried and cried with happiness that they finally were free, that was an indescribable feeling. JONAS: What do you think is the best with the touring-life? Elize: It is that you get to travel and see the world, and meet an incredible amount of people that you had never met otherwise. JONAS: What's the craziest memory you have from all your concerts? Elize: The most craziest was probably the concert at Loud Park in Japan, it was simply crazy. 40,000 screaming Japanese, it was really cool. Another crazy experience was when Kamelot was the opening act for Iron Maiden in Argentina, 50,000 people at an outdoor venue. There are many things beyond the ordinary I have experienced during the recent years. JONAS: Do you have any dream venue to play in? Elize: Yes, Madison Square Garden in New York! JONAS: How has the summer / fall looked like, and what are the plans for the rest of 2012-2013 look like? Elize: The schedule has been absolutely since this summer. I've played two summer festivals with both Amaranthe and Kamelot. Then I went out with KAMELOT on a 7 week tour in South America, followed by the U.S., where we did open for Nightwish. After that we are going on a headliner-tour in Europe. While I go away on tour with KAMELOT, Amaranthe will start recording the new album, which I will record my parts between those two tours. I also have some guest work on going in the winter, and I will start a solo project. Recently I and recorded the music video for Kamelots upcoming first single called Sacrimony "Angel of Afterlife" in Serbia. 2013 will probably be a year full of surprises. You all fans out there, keep an eye on our website for further info. 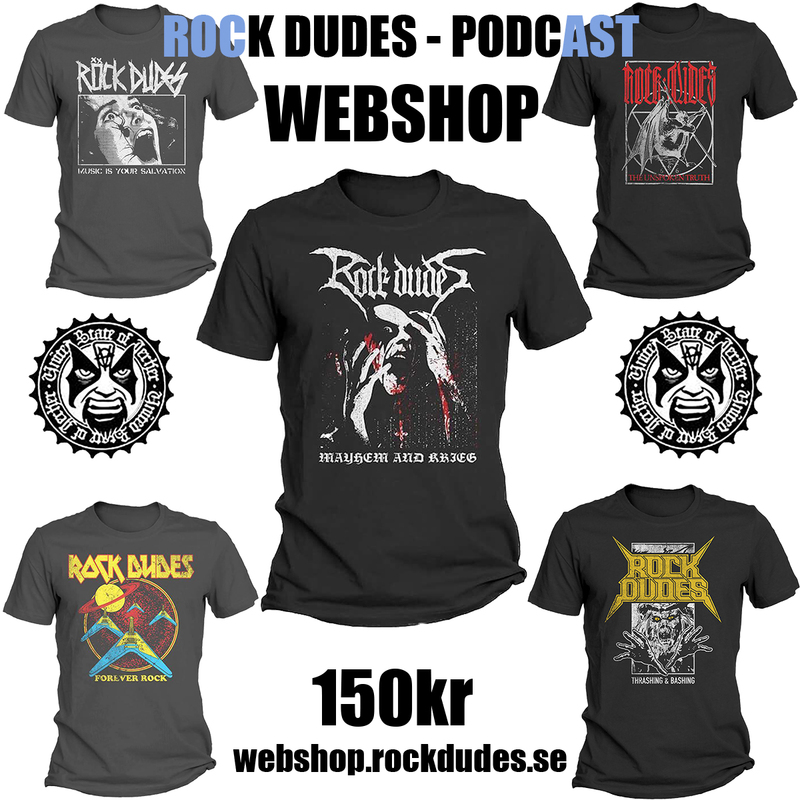 JONAS: One last thing, I would like you to say something spontaneously from your heart to Rockbladet’s readers? Elize: Thank you for taking the time to read, I hope to see you at some stage in the future! If you have a dream, never give up! 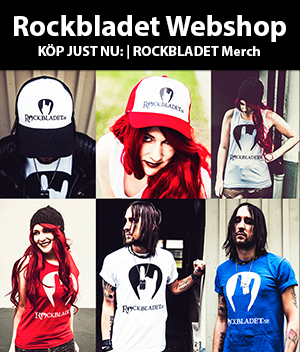 Keep on Rocking! 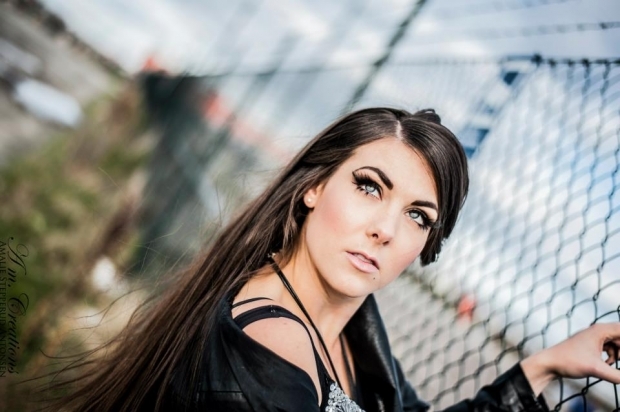 Elize is currently out on the European tour with Kamelot. See full tour schedule on www.kamelot.com/site/tour.